Health Bars: Each time player fails to reflect a ball, the health bar decreases in length. If the health reaches zero, the game is over. POW bars: It allows the player to use Power Ups, such as Bubble Shields and Rainbow Shots. Each use of the Power Ups consumes a certain amount of POWs. Slippery Paddles: Paddles do not stop immediately if the player stops pressing UP/Down buttons. The paddles decelerate and cushion in. This feature makes the paddles harder to control and challenges players to plan the moves ahead. The ball: The ball will shoot from the center with a random color, size, speed, and angle. Sound: added sound effects and music (Enjoy it!). 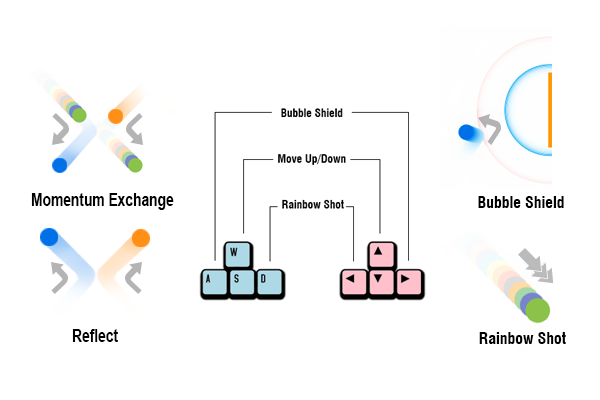 Bubble Shield: Players can consume POWs to generate a bubble shield. It reflects the balls back. Rainbow Shot: Players can consume POWs to activate the paddles into rainbow mode. 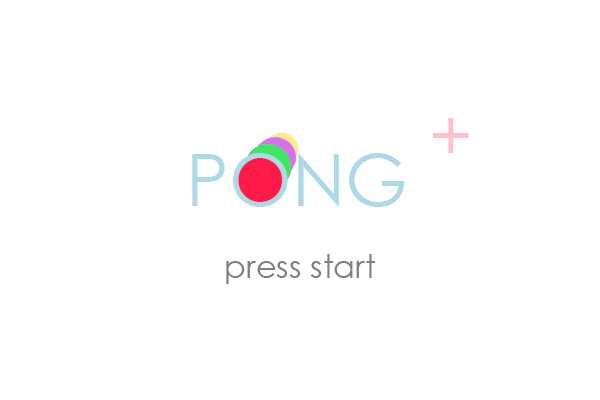 Any ball hits a paddle with rainbow mode will be reflected and move at a doubled speed. Reflection: Balls will bounce back from each other. Exchange of Momentum: If a rainbow ball hits a normal ball, they will exchange the momentum. Meaning the normal ball will become a rainbow ball and vice versa. Particles: A particle system is built in this game. If a ball hits the left or right boundary, it will explode and generate a particle cluster, like fireworks. ロッコ by RoccoW is licensed under a Attribution-ShareAlike License. Permissions beyond the scope of this license may be available atwww.soundcloud.com/roccowor contact artist via email.